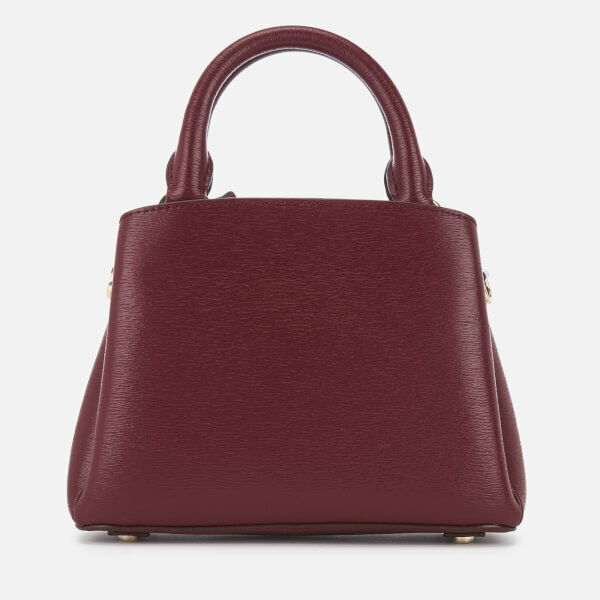 Burgundy textured leather satchel from DKNY. 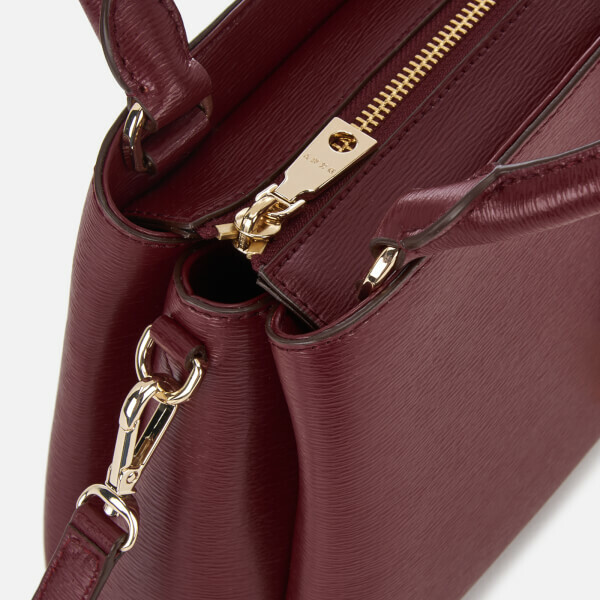 The zip top ‘Paige’ satchel has a compact design with three logo lined internal compartments that include a slip pocket and a secure zip pocket. Dual carry handles and an adjustable, detachable strap enable the bag to be carried in hand, crossbody style or over the shoulder. Dimensions: H: 16cm x W: 21cm x D: 9cm. Handle Drop: 8cm. Strap Drop: 57cm.